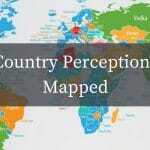 What Are Our Perceptions of Every Country in the World? What do we really think about the other countries of the world? We thought it would be interesting to use Google’s autosuggest function to find out. 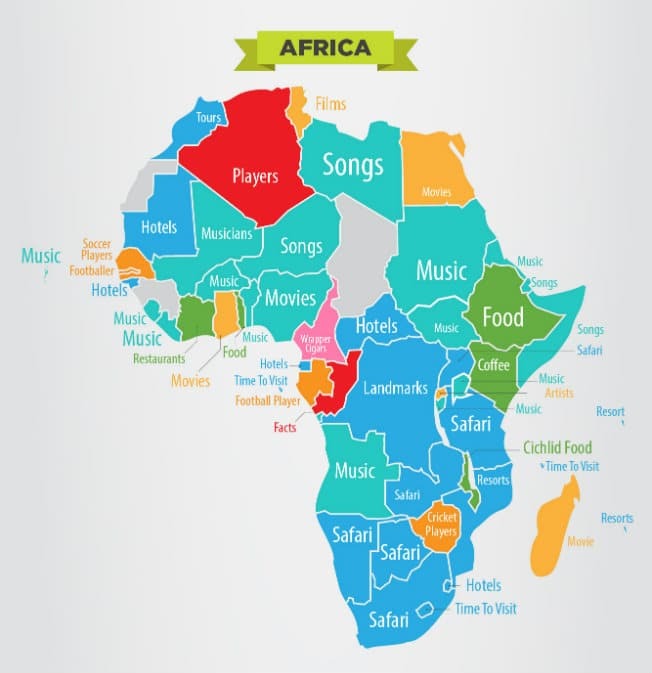 The phrases included in the autosuggest function are based on the things people search for the most, so it is a great way of gaining an insight into what people are searching for most about different countries, and what they most strongly relate that country with. 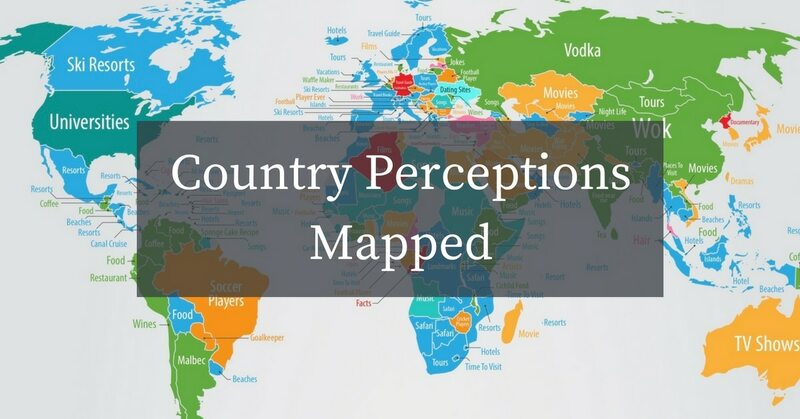 By searching ‘Best * COUNTRY NAME’, we were able to see what the public have been searching for most for each particular country. The results ranged from the bizarre to the insightful, highlighting interesting things about places that we certainly never knew about (Latvia is apparently full of jokers!). Check out all the results on the graphics below, and all the data is included at the end of the post if you want to scan for a particular place. You can also view the maps in higher resolution here. 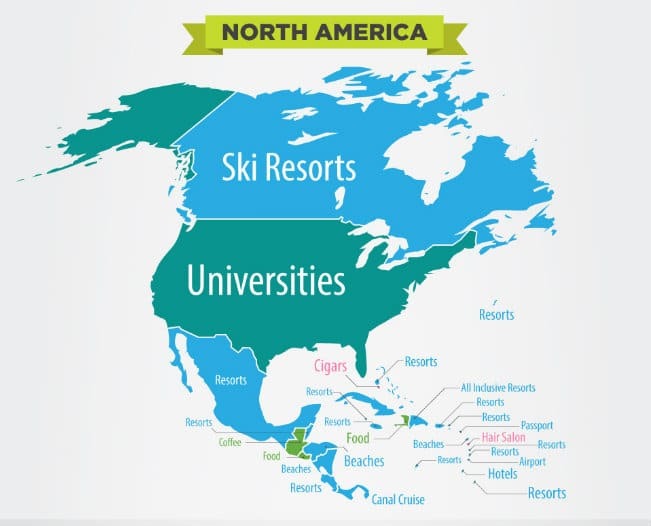 The vast array of mountains in Canada has enticed searches for ski resorts, and it’s the iconic U.S. universities that people want to find out more about in the United States. Elsewhere, Bermuda has proven more associated with holiday resorts than the mysterious Bermuda Triangle, and Dominica is known for its hair salons. 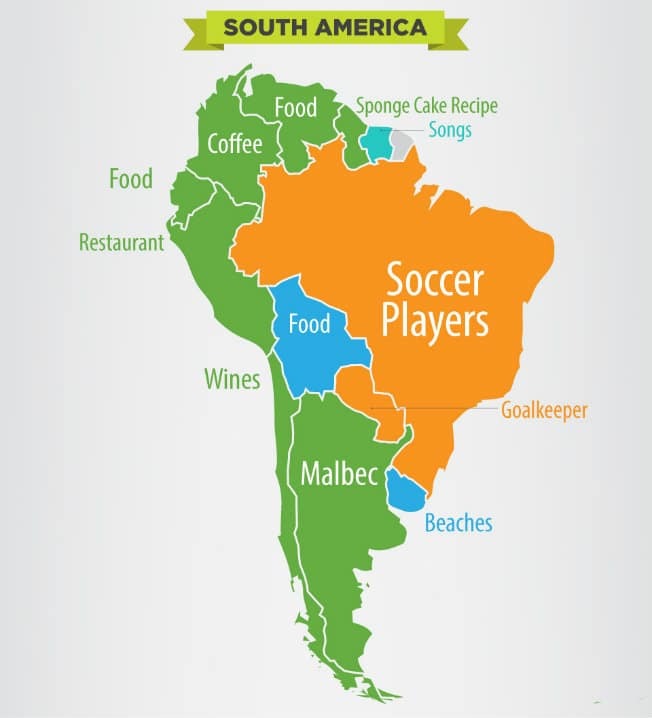 The Caribbean countries, rather unsurprisingly, bring up searches for beaches, resorts and hotels. Suriname has enticed us with its melodies, with people searching for the best Surinamese songs. If you’re more into sweet food than sweet serenades, then it seems Guyana is the place to be, and how about washing it down with a glass of wine from Chile. With the increasing trend of visiting Lapland and Helsinki, it’s not too surprising that Finland is most associated with vacations. 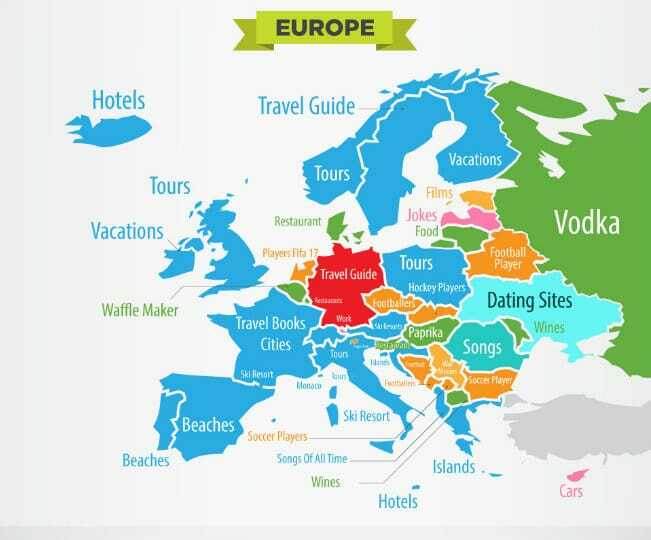 Sweden is also associated with holidays with people searching for the best Swedish travel guides, meanwhile the Netherlands has ranked higher for its Fifa 17 players than its abundance of beautiful tourist attractions. Sunny Croatia and Greece are also associated with holidays, both ranking top for islands. Elsewhere in Europe, food and drink is a popular association with Montenegro being known for its wine, and popular searches for the best food in Luthuania and Denmark. Eurovision also seems to have associated Europe with some great music with Albania’s top search being for the best songs of all time and Romania’s top search also being songs. From bologna in Lebanon to pie recipes in Samoa, the countries in Asia have thrown up many food-relates searches. Of course, any trip to Russia must result in procuring the best vodka in the land. 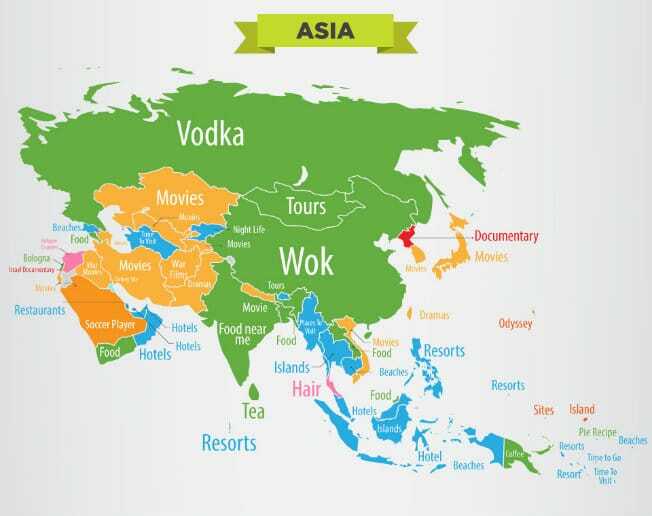 Movies have also been a common theme in Asia coming out as the top search associated with Azerbaijan, Kazakhstan and Uzbekistan. It seems there’s more to Africa than just safaris. We also want to know more about the best Somali songs, and cichlids from Malawi. 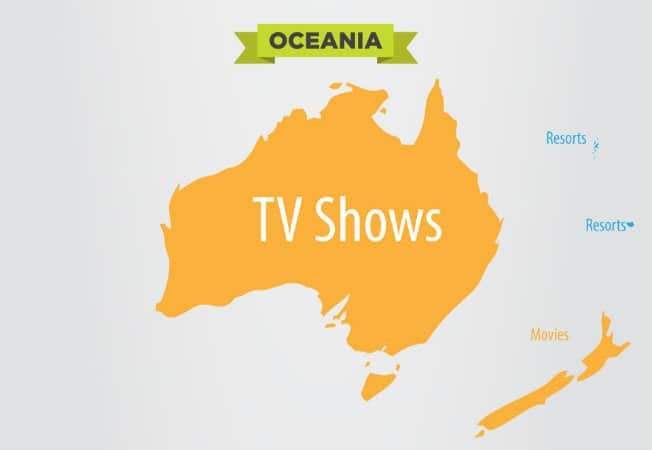 You’d think we would most commonly be searching for the best beach to sun ourselves on but it seems soap opera favourites like Home & Away and Neighbours are our biggest interest about Australia. Have a look at the full results below. There were some anomalies that we have left out of the infographic. An example of this is the African country of Chad, which when searched for, results in best Chad quotes, thanks to The Bachelorette. Another African country, Guinea, has also been left out due to the high frequency of searches for guinea pig cages, which skewed the results.